Planting InstructionsPerforms best in full sun. Set plant at the same level it is growing at in the container, firm soil and water thoroughly. Winter CareMulch in cooler climates and remove in early spring before new growth starts. Flower FormMany small flowers bloom in terminal panicles on the current season's growth. Foliage TypeDeciduous, glossy, green foliage. Foliage has bronzy cast in spring, bright green in summer, orange-red in the fall. Mildew resistant. Soil RequirementWell-drained, organically rich, moisture retentive soil. Becomes more drought tolerant with age. PruningThin young trees in late winter to early spring. Make sure to leave 3-7 main trunks or canopy branches. Older trees prune only to remove suckers that have emerged from main trunks or ground. Prune in winter. Unique CharactersticsMissouri Botanical Garden: 'Whit III' , commonly sold in commerce under the name of PINK VELOUR, features terminal crepe-papery inflorescences (6-12" long) of magenta-pink flowers from mid-summer to frost on upright branches rising to 6-10' tall. Thick and leathery leaves (to 3" long) emerge burgundy red in spring, mature to purplish green by summer and finally turn orange-brown in fall. Grayish-brown bark on mature branches exfoliates with age. Flowers give way to round seed capsules which often persist well into winter. In the St. Louis area where winter injury can be a problem, plants will typically grow to 6-10' tall. 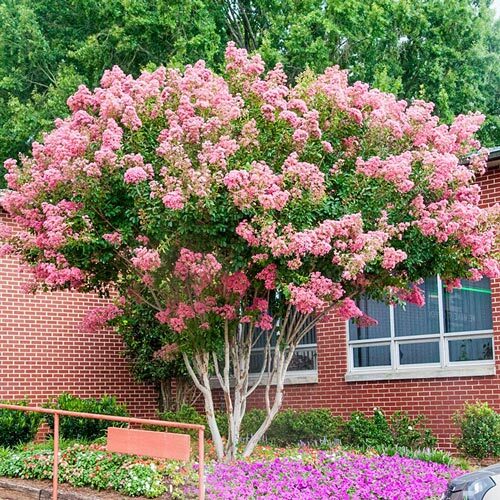 In the deep South, it will grow much taller if not pruned back. 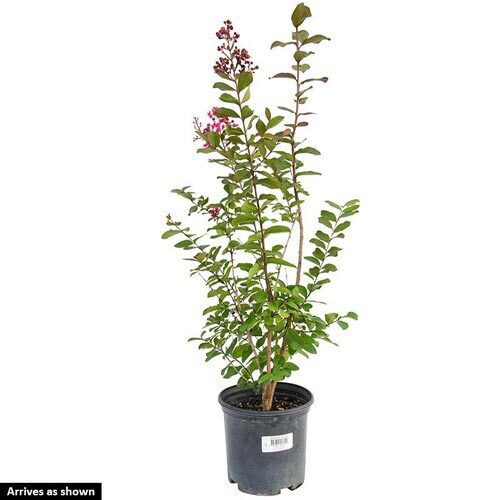 Cultivar name is in reference to Dr. Carl E. Whitcomb, Lacebark Farms, Stillwater, Oklahoma who developed and introduced this plant into commerce.